In this guide, we’re going to step through the do’s and don’ts of Magento SEO, from the built-in functionality, through to the wealth of additional features that you can add to it. SEO has changed drastically over the last 10+ years, as search engines become more advanced and improve their services, so does the process of optimising your website for the best performance. SEO now covers nearly every aspect of your website, mainly focusing on the Customer Experience (CX) and providing the correct information to search engines. 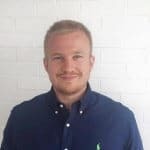 Below we’re discussing practical ‘quick win’ Magento SEO changes as well as bigger SEO improvements that can take your Magento Ecommerce to the next level. In Part 1 of the Ultimate Guide to Magento SEO, we’re going to concentrate on what Magento can do without any modules or code changes. Magento has a lot of ‘out of the box’ SEO improvements that you can start making use of straight away. Google recommends HTTPS as a ranking signal, and it also helps customers feel more comfortable shopping on your Magento store. Magento offers you some options for using Secure HTTP (HTTPS) on the admin section, and on the ‘Frontend’, however this only really changes switches for the Checkout and My Account pages. Unfortunately, this could also lead to duplicate content, which is a big SEO issue. Using an EV SSL certificate gives customers more sense of security, and reinforces that the whole site is protected through the introduction of a green URL bar. This is especially apparent on mobile devices, as it is much more visible for customers. Magento Server Rewrites is a core peace of functionality, which allows you to have nice ‘customer friendly’ URLs. These are excellent for readability and preventing duplicate content. You can activate this setting through System -> Configuration -> Web -> Search Engine Optimisation -> Enable URL Rewrites, and Magento will even populate all of your 301 redirects for you. Magento has a (very basic) XML sitemap which can be submitted to Google Web Master Tools. To create your first Magento sitemap add the file name ‘sitemap.xml’ and a path of ‘/’ in the following menu. After this is created, it is important to setup the sitemap to automatically generate itself on a schedule, otherwise your sitemap will get out of date as soon as you add a new product. 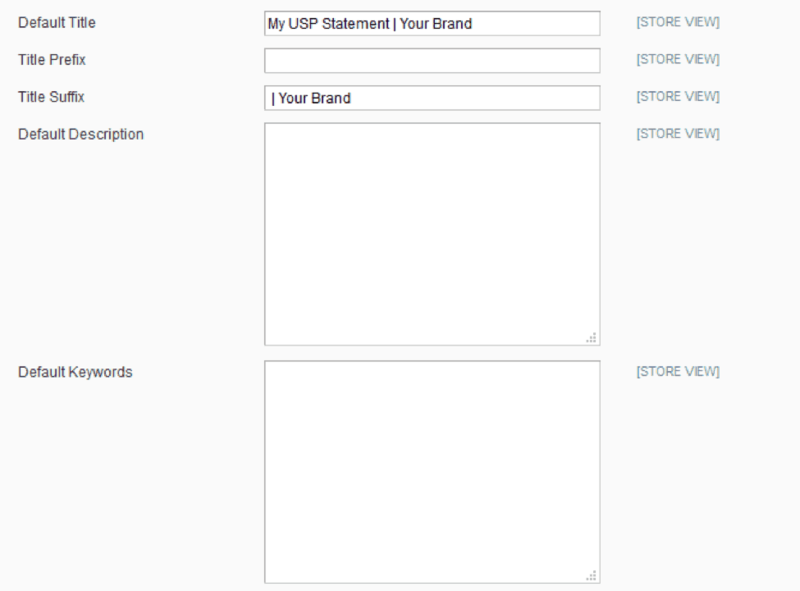 Magento allows you to input Meta Information for all products, categories, and CMS pages. It is worth filling these in wherever possible with unique information. All your Meta Information should abide by your keyword strategy. There are some additional Meta settings that allow you to set a Meta Title Suffix which is useful for brand consistency, as well as some default Meta Information. Ideally Google will never see the default text, because you will have unique Meta Titles, Descriptions and Keywords for each piece of content. This is a very simple change, but is worth looking at if not all your pages are being crawled/indexed. Changing this to ‘INDEX, FOLLOW’ is best practice for most installations. Making sure that your header logo has a decent Alt description can help search engines understand what the image is. 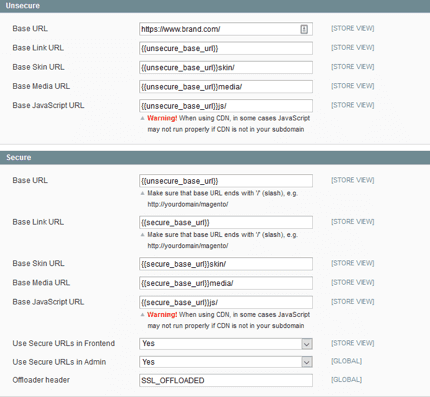 Canonicals allow Magento to link content back to a single source. This is useful to avoid duplication, and luckily basic canonicals are included ‘out of the box’. Set the Categories and Products Canonical settings to ‘Yes’. Magento includes basic support for Google Analytics. 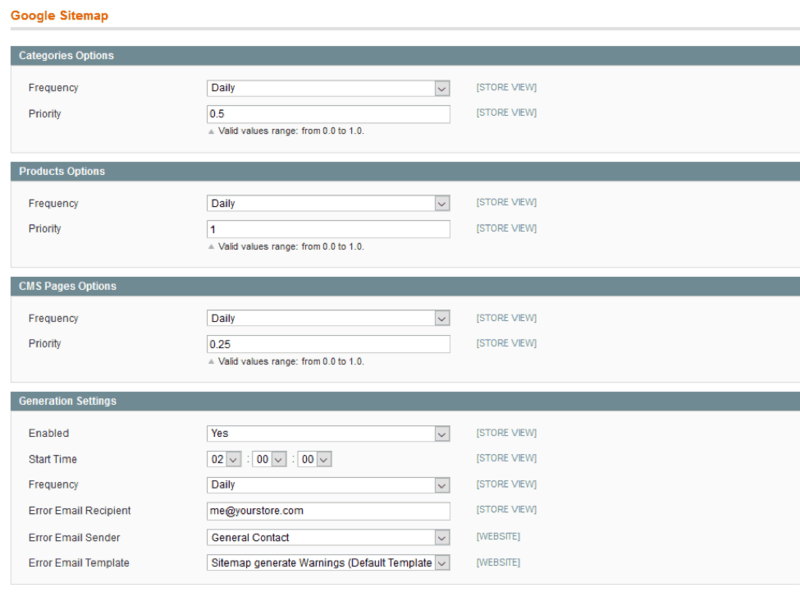 This includes the use of the new Universal Analytics options, which is highly recommended. All you need for this is to activate the feature and provide your Account Number. In Part 2 of this guide we will talk about Google Tag Manager, and the best way to implement this amazing new service from Google, in place of the typical Google Analytics. Now that you’re done with Part 1, checkout The Ultimate Guide to Magento SEO – Part 2, where we discuss some external services that help you get the most of Magento’s SEO potential. Contact our solutions team today to find out more how our services can optimise your Magento platform 020 3813 5351.